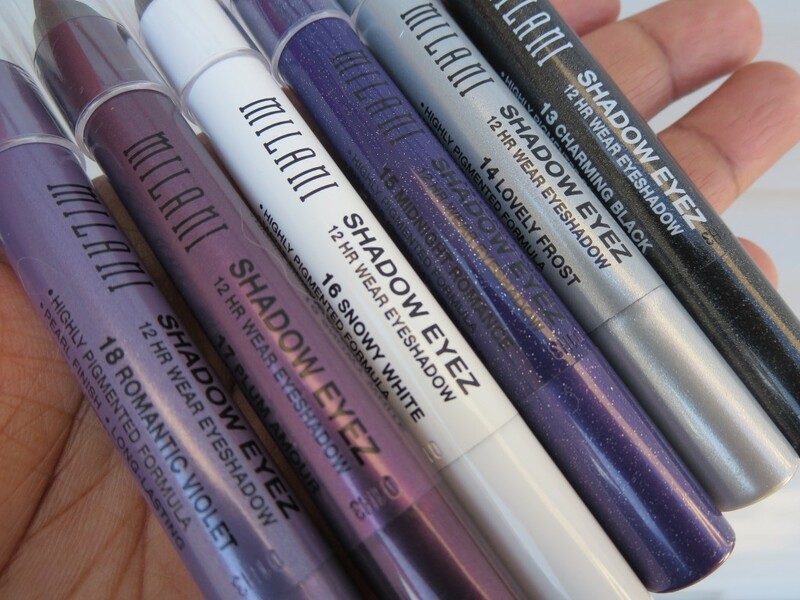 I really like Milani Shadow Eyez eyeshadow sticks. I don’t like the regular line up of colors but the limited edition collections like this one are great! 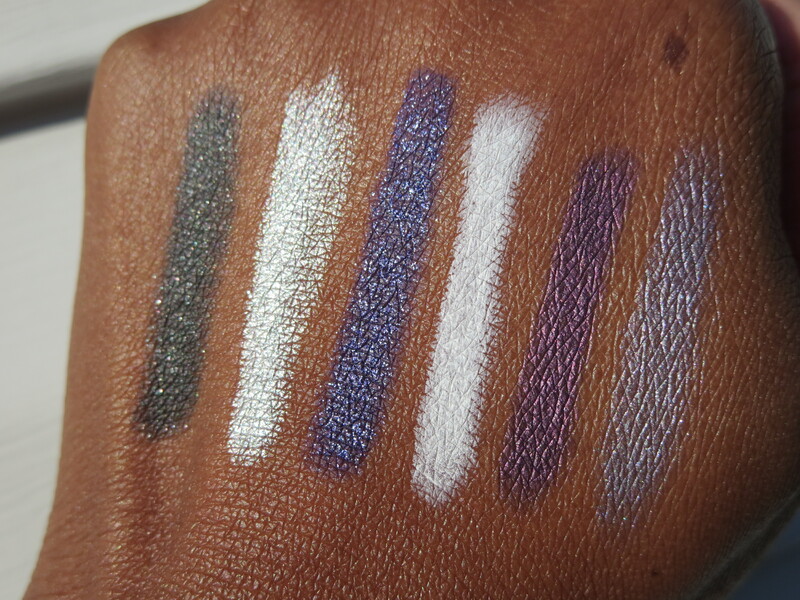 For the holidays Milani is giving us purples and that is a nice break from most of what is out there. 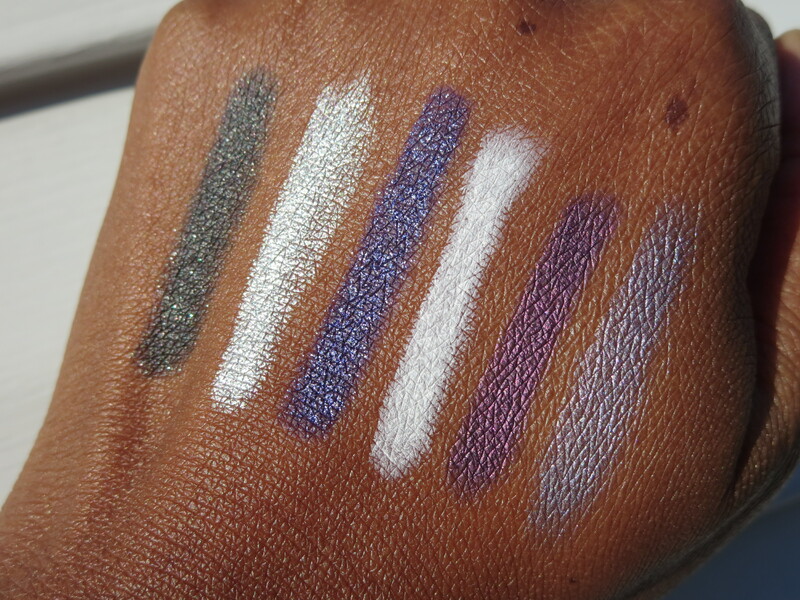 I picked up these eyeshadow pencils at CVS and after showing them in a recent YouTube video I got a few requests for swatches here. Here are some additional pics! Now if you are worried that these won’t come to your town they are also available now on the Milani website for $6.99 per shade. I wish these were permanent but you know how that goes! 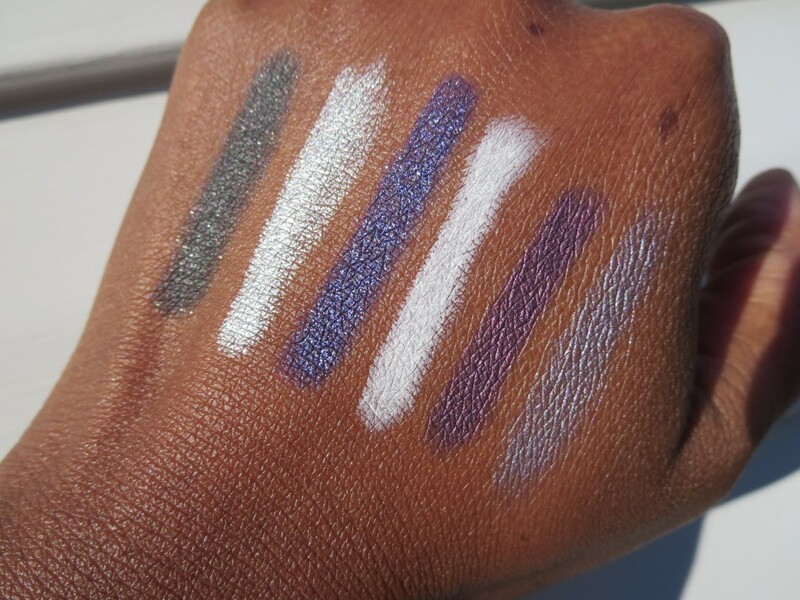 Charming Black and Midnight Romance are a bit shimmery but still beautiful. 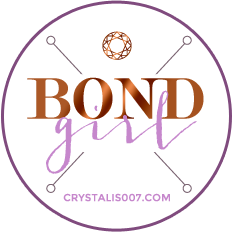 I’m excited about the matte Snowy White color! And get a load of Plum Amour….just perfect. I love using these on my eyes because they go on smoothly and stay put with primer on my eyes all day long. Love em yes I do! I don’t know what is going on but they are so hard to find (the LE collections) when they come out in stores!